Ergonomic, lightweight and compact, Its wide LCD screen comprising 2 digital displays is particularly easy to read. The C.A. 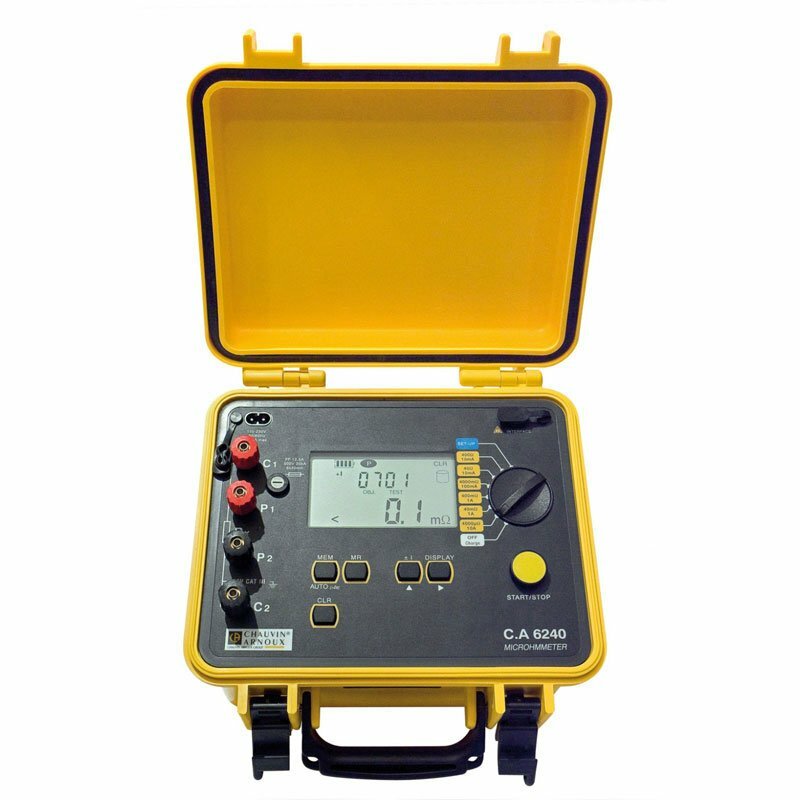 6240 allows quick detection of any deterioration between 2 contact points. This means it can be used for a very broad range of applications. 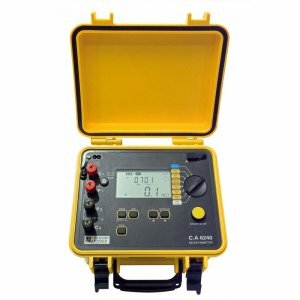 The micro-ohmmeter provides reliable, accurate measurements due to its test current of up to 10 A. Broad measurement range 5µΩ to 400Ω. Test current: up to 10 A. Automatic 'on the fly' or manual recording mode. Connection: 4 screw terminals, 4mm in diameter. Power supply: NiMH rechargeable battery. Data: optical / USB link. Electrical safety: IEC 61010-1 / CAT III 50V. Dimensions: 273 x 247 x 280mm. Chauvin Arnoux C.A 6240 Warranty: 1 year. Carry Bag, power lead 2m long, 1 set of 2 x 10 A Kelvin clamps with a 3m cable, optical / USB communication cable, Microhmview software, simplified CA6240 operating manual in 5 languages, C.A 6240 operating manual in 5 languages.